How does a Mortar work? The text below is the basic script of the video. A modern mortar is a weapon that provides short-range indirect fire at high angles, usually between 45 and 80 degree. The first modern mortar was the so called Stokes Mortar, it was developed during the First World War unlike traditional mortars it was relatively small and mobile, which made it well-suited for trench warfare, because unlike unwieldy artillery it could be used directly by the infantry units at the front line. 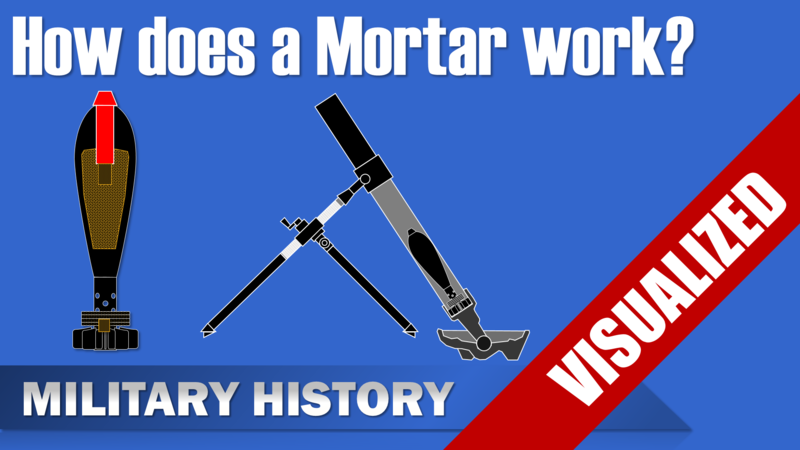 Of course mortars design evolved since the Stokes mortar, but the basic principles are still the same, so how does a modern mortar work? A Mortar is basically just a huge tube, which is closed on the bottom side and mounted on a base plate that allows for some adjustment. At the bottom of the barrel there is a fixed firing pin. If a mortar shell is dropped into the barrel and hits the pin, the propelling charge is ignited. Then the explosion of the propelling charge creates gas that pushes the mortar shell (or bomb) out of the tube. The Mortar Shell is sometimes also called bomb. It’s main components are the impact fuze at the top, which triggers the Exploder. Followed by the high explosive filler in the body, the primary charge in the tail section and usually augmenting charges on the tail. As you can see the propelling charge is made up of two components the primary charge and the augmenting charge. The first is inside the mortar round, whereas the augmenting charges are usually outside of the mortar shell and can be added and removed in order to reduce the power and thus speed and range of the shell. The addition and removal of augmenting charges increases the flexibility in terms of range, since a mortar usually operates at angles of 45 to 80 degree. (p.126 for ranges) To give you some reference, for the British 81mm L16 mortar introduced in the mid sixties, the max range of just the primary charge is 520 meters, whereas with 6 augmentation charges a max range of 4680 m can be achieved. Yet, the minimum range with all charges is 1700 m, whereas with just the primary charge it can be used as close as 180 m.
One interesting aspect about a mortal shell are it’s tail fins. Originally they were cheap and added to provide some stability, but during the Second World War it became obvious that these fins had a major influence on both accuracy and range. Thus, emphasis was given to create efficient and well-produced fins. The tail fins need to be placed at some distance to the body, due to the low pressure inhibiting their effect. In theory, the fins should be of a greater diameter than the body, but the cost were usually not worth the benefits of complicate designs. Since you have an idea how a mortar works, now a short overview on the basic advantages and characteristics of a modern mortar: It is a cheap and easily to produce weapon that provides infantry a weapon for quick and immediate indirect fire, unlike artillery which needs to called in from behind. Furthermore, due to the weight and size light and medium mortars are portable. 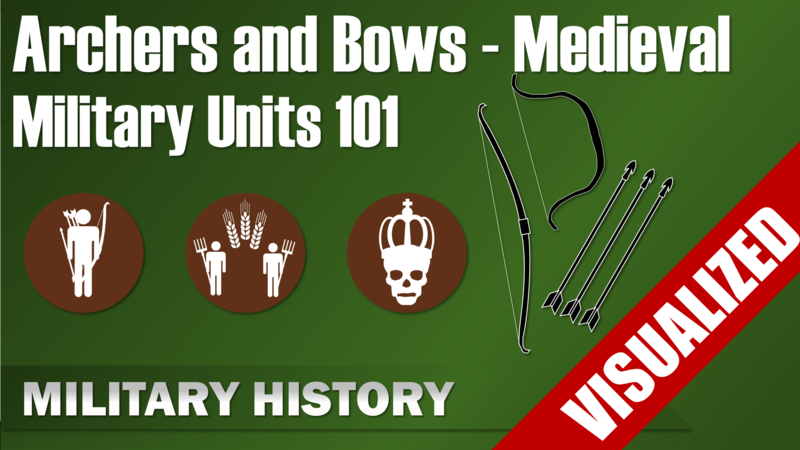 Thus they are usually part of the infantry and not the artillery units, as you can clearly see in my video about the organization of an US Army Battalion. Finally, the command to prepare a mortar round for firing is not load but HANG IT! So, hang in there, thank you for watching. Due to several reasons the mortar shell and mortar are not of the same type (and diameter in real life), but the functionality is similar. The depicted Mortar Shell is a 8cm Wgr 38 for a German World War 2 Mortar. The depicted detailed Mortar is roughly a Esperanza 60mm Model ‘L’ Mortar. The depicted Mortars in the beginning are US M2 60mm mortars. Author MilHisVisPosted on April 17, 2016 May 22, 2016 Categories Weapons 101Tags 101, basics, mortar, weapons1 Comment on How does a Mortar work?